I have found in the past that writing a long review talking about the film in chronological order is unhelpful to a lot of people because they can get insanely long and people don’t have the time or the patience to read it all, so now I’m switching my style to talk about specific things so that people can remember where they were at and come back to it later if they’re distracted. I also think this is ultimately better for a review because my thoughts will also be less scattered. I will be talking about a mix of characters and themes initially before moving on to specifics. I love the way bullying is explored in this film and it doesn’t feel badly implemented like so many of the videos you see in school. It depicts the way bullying can escalate without anyone really realising or caring to do anything about it. The bully at the start of the film is a guy called Sho or Shoya or Ishida but for the sake of convenience I will be calling him Sho for the rest of the review since it’s shorter and easier to write and read. What I respect so much about the film is that it doesn’t fall into the cliché of the bully having a terrible problem of their own, because it’s often not true and I can attest to this through (not first hand) experience except for one time. In every single instance I’ve experienced it’s just been that the bully is having fun at the victims expense, to a point where they enjoy it so much that they’re so desensitised that they can keep doing it. The only experience I had with bullying was with a guy in cubs (which is the one you go to before scouts) where one guy would always make fun of me and hurt me to the point where I didn’t want to go. As I found out later by befriending the guy when we were much older he had no real problems other than he just wanted to have fun and his mum was the cub leader so he felt like he could do whatever he wanted (which was basically true for a while, favouritism was very strong). But the point is he didn’t have this huge problem, it just got out of hand without realising. What I also love is how the journey of Sho through his later years goes back to the guilt he felt because of his actions. My friend (who used to bully me) was really guilty about it and still apologised when I brought it up that one time, but we moved on because it was a pretty bad misunderstanding where the guy didn’t realise how bad he was making it for me. In koe no katachi the way the bullying can develop into evilness so easily is shown very well. I can imagine it being very annoying to have to sit through sign language classes coincidently as soon as a deaf girl arrives even though you don’t want anything to do with her. Sho is visibly annoyed that the girl, Nishimiya , receives special privileges and definitely views her with ableism. Oddly enough there was someone in my primary school (age 4-11 or something like that) who was deaf but she was in like year 2 when I was in year 6 or something like that so I obviously couldn’t tell if she was or would be bullied. It was interesting though because she was still fairly social and would come up to our group just to push us around and have fun. She wasn’t made fun of at all then so I can assume that our school was probably just very good. I may reference this more throughout the review. It’s interesting because the bullying starts due to the fact that Sho is so bored with everything and he uses her lack of hearing for fun. First making fun of the fact that she speaks weirdly (who can blame her) and then going on to so much worse due to the encouragement he receives. Very few people are morally opposed to Sho at first; they find it funny or are too quiet to say anything about it. This encouragement he receives makes the bullying get worse because nobody is stopping him and it’s so gradual that no one notices the change. It’s a really sad part of the film how easily a situation can get out of hand like that, because I would not be surprised if that was how it happened. Sadly Nishimiya makes an easy victim because she wants to get along with people and is poor at communicating, this friendliness within her nature leads to her being thought of as more than weird and it’s so sad to see a victim that really can’t do a lot to help themselves. An idea that I really enjoyed being brought up was “who is to blame?” since it really made an impact on me and the way I thought. The bully’s, let’s face it there was many more than one, all treat their bullying differently and think of it in different ways. The most interesting in my opinion is with Kawai who denies having anything to do with it. I can understand this perspective so much and it resonates with me on a lot of different levels because I believe that Kawai was one of the people who bullied her, she just doesn’t believe it. It’s a biting accusation but allow me to explain before you think I’m a bad guy or something. When Kawai thinks of herself she thinks of herself as a good person, it’s not told to us but it’s visibly shown with her moral standing and thoughts on a lot of things throughout the show. It’s clear more than anything though that she wants to be thought of a good person and she holds it in her self-esteem that being good is a trait she wants. That way I can easily rationalise much later her forgetting the bad things she did and dismissing them as teasing since she didn’t think her actions were a very big deal. Her actions weren’t a big deal compared to everyone else but did she contribute? Yes. A way of thinking about it reminds me of a class detention I was in during secondary school. The teacher had told the whole class that if we were talking we would all be in detention. One of my personal traits that I thought of myself at the time was that I was a quiet person who didn’t talk much. At the time I would have massively denied that I was talking because it wasn’t in my nature and the others in my class were screaming their heads off while I didn’t do anything really. But did I deserve the detention? Now I think yes because I heard the warning and talked anyway. The same thing can apply to Kawai and just because she only did it a few times doesn’t mean she didn’t contribute. The whole class is also guilty because of their association with Sho and encouragement, there’s a reason why it’s illegal to not report a crime you witness. If you don’t report a crime and it goes unnoticed you are basically allowing it to happen and encouraging it, Kawai along with the whole class was doing it so as far as I’m concerned they were all guilty in the end. And how do the guilty react? Denial, ultimately there was always something they could have done but they never did it and encouraged it instead. It’s unfair to just blame them but I also think it’s unfair to claim they don’t have the tiniest bit of responsibility for it. Obviously Sho is massively to blame but it’s obviously not just him and he’s easy to empathise with when all his friends turn on him. The only reason why Sho did it was because the whole class encouraged him to do it, and keep on doing it. Everything he did was met with praise so naturally he would want to do it again. His friends took part in it as well and the fact that they don’t own up as well is a crime really. You obviously have your own ideas but exploring blame makes it clear that it’s not just the bullies fault. It feels like a silent voice is telling you not to encourage this behaviour. Would a bully carry on if everyone around him reacted badly and told him they didn’t like what they were doing? Almost definitely not! It’s scary to think how many people would be dead right now if suicide was as easy as flicking a light switch. Luckily it’s gotten to a point where people find it more difficult to end their own life, especially outside of the US where I live and guns are unavailable. The many steps taken to kill yourself should discourage a lot of people from doing it. If you want to jump off a building you have to physically move to a place tall enough to kill you, and then you have to leap while looking down, I can imagine that idea of hurtling towards the ground being so terrifying that many people would just give up. Same for the idea of a noose, hanging for the last three hours of your life must hurt so much that people don’t want to do it. I like that the fear of pain stops people from killing themselves because I ultimately want people to seek help instead. If they’re getting help already and still nothing is happening I still want them to seek help else ware. Other people overdose on pills or drink bleach but the actual act of ingesting things harmful to the human body becomes so difficult because the body is made to reject them. I can imagine it being like the first time I drank alcohol, I had one cider but I could never finish the 2nd can because my body didn’t want it and rejected it no matter how much I tried. And as you could probably tell already, I’m a real lightweight; it’s good because it saves money for when I want to get drunk! I can behave drunk after one cider without any real consequences when I wake up the next day, so I think I’ve won at life. Anyway I bring up the idea of suicide as a theme because two characters try to do it and both times they fail. It is definitely a major part of the show and it would be a crime to just ignore it completely for fear of scaring people off. The method both people try to use to attempt suicide is jumping off a high building/bridge. Ultimately jumping off a high bridge would be more effective (but don’t tell anyone that because you might give them ideas). The girl is the only one who is able to jump but she’s saved in a really interesting way. I will talk more about their individual reasons and attitudes towards it when I look at the characters individually but I want to talk about the consequences of the girls’ actions. Sho saves Nishimiya and falls off the building in the act, ending up in a coma. I want to dispel the notion that killing yourself is a selfish thing to do e.g “Sorry that I have to live in constant misery daily just because you’d feel bad for a week if I killed myself” but I think the film makers are aware of this attitude at the least and put Sho falling off to show the consequences suicide can have on the people around you. As a consequence of Nishimiya’s actions she enters an even deeper depression and badly affects everyone around her. The characters who have befriended Sho are so very annoyed with her (sympathetic too) and some react to her terribly. I don’t think the film has the message that suicide is selfish but detailing the consequences of it from the perspective of a person who failed to kill themselves would make a lot of suicidal people think more about the people they would be affecting. If they valued their happiness then maybe a suicidal person wouldn’t want to go through with it after seeing how much people would miss them and regret not being able to help them. I’m not suicidal at all, and I don’t plan to be, but if I wanted to kill myself I wouldn’t want to do it with both my parents alive because I value them to the point where I wouldn’t want them to experience the loss of a person they loved. It is a little irrational from the “selfish” perspective but thinking about how much you care for others is often a good suicide deterrent and is highly relevant to the show after the attempt takes place. I don’t think the show is commenting, it’s more exploring the idea and you’re free to interpret the film as you choose. The common trait through all of this is a general feeling of depression and unworthiness to the right to life. It’s easy to empathise for why both people wouldn’t want to be in this world. The main issue for me is how quickly people seem to recover. Suicidal thoughts aren’t caused in just one day from a bad experience. It’s multiple terrible experiences building up over time that leads to the mind-set of a suicidal person. This probably sounds obvious but a lot of the reason why suicidal people want to kill themselves is that every day is a bad day, the default setting for their days is terrible. The build-up over time means that one single event doesn’t often cure it and it takes a lot more work than that. This is why I think the films’ handling of the theme “suicide” isn’t brilliant. I’m interested in mental illness and things like suicide and depression and from research one event is just not good enough to cure someone of those thoughts. The way the characters can recover just from making friends or falling in love feels unrealistic and idealised. I don’t want to claim that it can’t ever happen like that but it’s just rare. 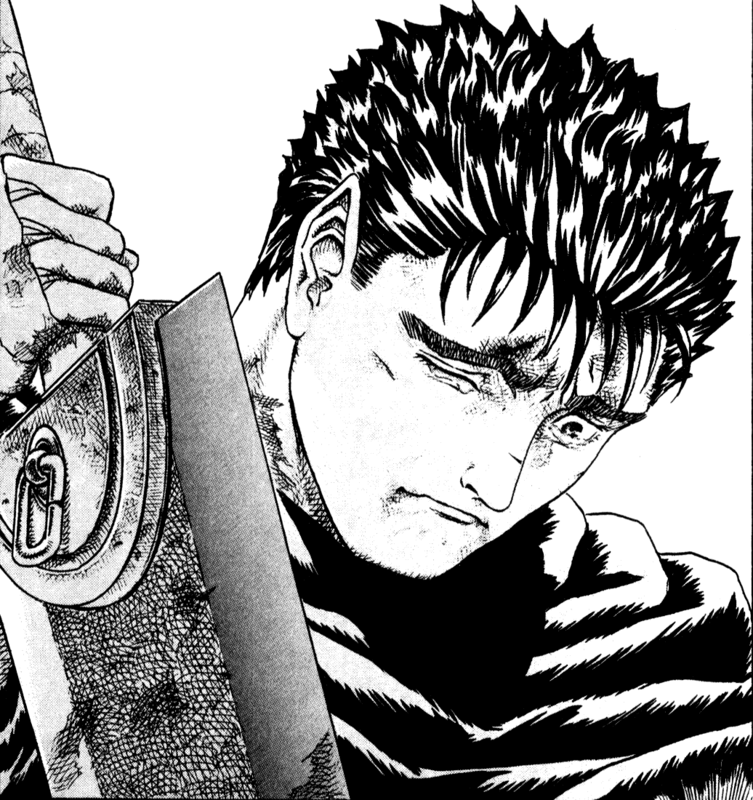 My opinion is that the characters never reach a level of high enough sadness to go through with the act in the first place. Either that or they are very rash about it and prepare to do it after one even worse day. For example the guilt Sho feels is immense but when he’s hanging out in the theme park he questions whether he should be allowed to have as much fun as he is. I think that Sho’s realisation that it’s all ok should have taken place here, instead he is made to feel sad instead of coming to realise he’s fine. While Sho is surrounded by the person he used to bully, two people who hated him for bullying that person, the victim’s sister and a random friend how can he not feel like he’s free of guilt? He’s more than made up for it in my opinion and it’s sad that he doesn’t notice that. I think it’s here that Sho has given up on suicide since he tried it at the start of the film and never showed signs of wanting to do it again. It’s clear that he still feels sad, and it’s ultimately proved later when he loses his friends despite having good times with them. I can’t work out whether this is good or bad writing. On the one hand Sho thinking himself unworthy and still guilty for being with his friends is fitting with a person who tried to kill themselves, yet on the other hand the attitudes the other characters have towards him should redeem him enough to the extent that it shouldn’t even matter. I’m not too sure really. I think it’s going to be difficult to continue talking about things without talking about the main character first. I really love the way the main character acts in this anime, I think his transformation is truly brilliant. When Sho was a kid it was very clear that he was confident and outgoing, he walked along the corridors with a forceful swagger and didn’t care what others thought of him. This shows when he imitated the voice of Nishimiya at the start of the film, this kind of thing would embarrass him greatly in the present. When we return back to the future we can see the dramatic changes that have taken place to Sho and it really made me sad and kicked me hard in the stomach when I first saw it. The confidence and socialness of the young Sho is completely destroyed in the present and he’s a nervous, timorous wreck of a person. The most admirable thing that I noticed about the film was the complete change in Sho’s posture, walk and mannerisms. It was such good attention to detail to have the show blatantly give Sho’s younger self the posture and walk of confidence and then completely switch it later. More than anything else that was probably the thing that saddened me the most, the visual change was dramatic. Have you ever met a strong, tall person – only to find that they express all the body language of a timorous person? It sort of feels sad because it feels like the rolls have been reversed for no good reason. That’s what looking at Sho feels like to me and its way too sad. This is a perfectly sociable person who was made to feel inferior, weak and cowardly just because of the terrible people around him. Not to mention the immense guild that he feels every day due to his past actions. It’s true that Sho feels a lot of guilt, it’s one of the themes I probably won’t break down because it’s so relevant to Sho’s character. But it’s hard to tell if the guilt Sho feels has anything to do with his actions, or the consequences of his actions. When he was first caught bullying and made to stand up in front of the class his first instinct was defensive and to say it wasn’t just him. It only seemed that later he felt guilty about it. So did he feel guilty because of his actions, or the because of the way people treated him after his actions? I would have to guess it would be the latter. I find it clear that Sho felt guilt due to his actions from the lack of social acceptance he had. Then he thought more about what he did and slowly felt worse and worse about it. Each time a person in his school bullied him or made fun of him he would think it was retribution for his past actions, flashing back to the terrible things he did. So he was only made to feel guilty by his classmates who are terrible. This isn’t told but it’s basically shown that throughout all of his bullying he would have thought “that person did it too” but gradually his defences would be torn down to the point where he couldn’t take it anymore. I find is surprising that he is able to get on so well with Nishimiya so quickly after all of his bad actions but he makes it clear that he’s changed, if not by his voice by the way he behaves all the time. It’s sad that being redeemed by Nishimiya isn’t enough for him though. Another interesting thing is his rather quick process towards making new friends. He proves to himself that and others that he’s capable of doing well when he gives a terrible person his bike to save someone else. He never got it back but the whole thing was really good for him and allowed him to fit in better with someone. I think it’s way too convenient that the guy he saved sits right behind him but the simple explanation is that he vaguely knew that and wanted to save him since he was a familiar face. Something about Sho is that the way he views the world, with everyone hating me, is only in his head. The way he remembers his old friend going around and telling people that he was a bully and shouldn’t be friends with him seems to be all in his own head. The guy he befriends with the funny hair (Tomohiro Nagatsuka – can you see why I didn’t remember it?) shows no sign of a transformation. He never goes “someone told me you were a bad person” or “I thought you were a bad person” because it’s probably not even happened. Everyone views him as quiet and seems to ignore everything his old friend said about him. Later when it is revealed to his whole class that he used to bully someone they are shocked. If his old friend had told them they would be unsurprised. This leads me to the sad idea that everything is in his head, proved by the fact that people gravitate towards him so easily. Something that I found myself saying a lot was “Get out of the house” and it’s a phrase that I take to mean, how can you expect to not meet people and make friends if you don’t get out of the house? Nearly all of his encounters with other people take place because he got out of the house and talked to people. That way he was introduced to new friends without even realising it. His friends were the key to his self-discovery but he couldn’t have done it without, getting out of the house! I feel like I’m missing so much about his character but if I forget anything here I will put it at the end. Sho learns sign language even though there should be no possible reason for him to learn it at all. It’s a brilliant way of expressing his guilt and is believable too. It makes the plot more convenient but it feels like he wants to redeem himself and getting back with Nishimiya is the only way he can do it. The most difficult thing to watch about Sho is that he is very bad at expressing himself. There are so many times when he has the option to explain that he’s changed but his self-defeating thoughts sadly ruin the moment. The most difficult thing about him is that he doesn’t know how to help himself. I’m sure I’ll have more to say about him later but for now that’s all I can remember, I will also do a “what I missed” at the end when I go through the notes I wrote chronologically filling in any gaps. Even though technically Nishimiya isn’t the main character she is the key important story for the whole film to take place. Needless to say due to the premise of the show Nishimiya needed to deliver or the whole plot would have felt worthless. I think she delivered well and the quiet nature of her character was something great. Her introduction was something great to witness and I think the portrayal of a deaf character was very good. Even though I’ve not communicated with a deaf person in that way a notebook sounds fairly normal when conversing with people who aren’t able to speak sign language. The main thing that potentially broke my immersion was that in her notebook titled “conversation notebook” there wasn’t nearly enough phrases in it and only one per page. What would have been more realistic is having many more phrases per page in small writing with many lines written next to each other. Then each of them would have a number next to them and she could easily point to the right phrase in the book. This is a nit-pick and obviously a lot of minor concerns don’t mean much to me but I thought it would be worth mentioning here. The most annoying part of the film is often the incoherent secondary cast which is inconsistent at best so I’ll save my criticisms for then. Something interesting was that we never really got to see what Nishimiya was thinking in her head. Granted it would have just been her strange voice but her thoughts are often left unclear and up to the audience’s interpretation. This is ultimately good because there are several strange parts of the film that could easily have looked bad if we knew about her thoughts. But we don’t know, and even if we heard her internal thoughts we still wouldn’t be able to work anything out, which is for the better because it allows me to explain everything from my perspective. Nishimiya has spent her whole life growing up being unable to connect very well with people. It’s made clear from the beginning that she just wants to have friends and be accepted, having fun with people but can’t. Initially she looks like she’s able to do that since she has the crowd around her at first but it slowly vanishes because it’s a lot of effort to talk to her. This lets her bullying take the forefront and makes her so unhappy. It can appear odd at first when she walks up to Sho asking him to be her friend but she comes across as a quiet person who doesn’t want to start anything big. That way when she asks to be friends it’s almost like she’s asking Sho to stop and just get along with her. Unfortunately she doesn’t know enough about making friends to do this and she’s made to look even weirder. It’s never explained why Nishimiya was in a different school to her sister because having her there would have done so much to help her development. It looks to me that she was cut out from the early start of the film because she would be able to stop her from being bullied, avoiding the plot line entirely. It’s very convenient but it’s not impossible to happen. What if Nishimiya’s parents wanted her to make more friends that just her sister? That would explain it but I find it hard to believe that from the later parts in the film where she admits that she confessed to Sho that she wouldn’t say she was being bullied. Another striking thing about her character is the disconnect between the moment when she wanted to be friends with Sho to running away when she met him again in the present. The first issue that we are able to see is that she can’t read body language very well. Sho portrays no signs of physical assault and she lets her past emotions guide her to running away. Then the fact that she transforms from wanting to be friends to running away is also interesting because it shows at the very least that she has contemplated and thought about his actions a lot, changing her perspective greatly. I think that she is potentially too eager to make friends but the strength of communication through animation is strong enough to show that new friends don’t come easy to her and she’s happy to form a new connection. It’s made cannon through the #hotguy tag in Yuzuru’s (Nishimiya’s sister) tweet that Sho is good looking in the world of anime and maybe that’s also what makes her happy though it’s not really addressed. Nishimiya falls in love with him because he’s the first person to give her any real attention, asking her on dates without him even realising! I honestly think this is realistic. Her confession was one of the most annoying things to me because she couldn’t communicate it properly. I was worried that the whole film was going to be about them eventually getting back together but thankfully they had time to spare on other things. Then we go through her suicide scene and to a lot of people I can imagine it being surprising since it’s only now that she is able to interact with more people. It’s never explained why she chose to jump but there are a lot of things we can do to guess about it. Nishimiya has confessed and not received an answer and has had a lifetime of struggling with her disability. I think it’s a combination of these high emotions and long term problems which drove her to do it. What I’m grateful to the writers for is that instead of centring the rest of the film about her self-pity she went around to everyone apologising. It was clear that her strong empathy was what allowed her to keep on living, she must have felt a debt to Sho that caused her to keep on going. I found it difficult to talk about Nishimiya here since a lot of my thoughts were more of interpretations but her convincing portrayal of a deaf character along with her interesting actions more than made the movie. Now that I’ve got the two big main characters out of the way I want to briefly touch on a minor thing that they had for a very short lived amount of time, popularity. It’s not exactly a theme but a unique idea that I noticed because of my life experiences. A lot of people who are unpopular do an amazing thing fairly often. It’s a lot of these people’s dreams that they will go back into school the next day and everyone will be talking about them and they will be able to use it to instantly become the most popular person in school. It never works like that though does it? I like how in this film something such as this happens to Sho and he fails to capitalise on it, I don’t even think the movie even addresses that this had a possibility to happen which is how distant Sho is from everything. A tweet about Sho goes viral and nobody even cares. It’s a great opportunity to make friends and he just does nothing. I think this shows up more with Nishimiya when she initially has a large crowd of people around her who are interested in talking to her. Her shy nature however lets them turn away and she isn’t able to become popular, which is normal but sad as well. Even though I like her character designs and a lot of her dialogue I think Ueno is probably the worst and most stupid character in this film. My problems don’t even start in the early sections of the film when she turned her back on Sho but much later in the present where her attitudes and opinions are really stupid. The idea that she would still be prepared to throw away Nishimiya’s hearing aids many years later is terrible and the fact that she blamed Sho losing all his friends on Nishimia is also ridiculous since she is still friends with the one person responsible who isn’t a main character, nobody knows his name but if I were to say the blonde guy with glasses you would all know what I mean. I hate that she even has the idea to get those two back together, ultimately the glasses guy doesn’t deserve Sho’s friendship without a lot of apologising to do later. It feels like a punch to the face when she turns on Nishimiya for no good reason and I think her being led to a far worse fate for Sho earlier. On the bridge Sho loses everyone, and I think it’s Ueno’s fault mostly. Sho was in a negative loop at that point in time and it was Ueno who got him there. Constantly causing him to think negatively led him to say things he wouldn’t have said to the people who tried to cheer him up. The way the characters all left him, failing to see that he was just having a bad day was really bad but thankfully the show redeemed itself later when they returned back together. It was ultimately a stupid moment caused by stupid characterisation and stupid opinions. I would say that I liked Ueno overall since she had a lot of good going on as well but I felt that so much of her was just convenience to continue the plot that didn’t work out effectively. 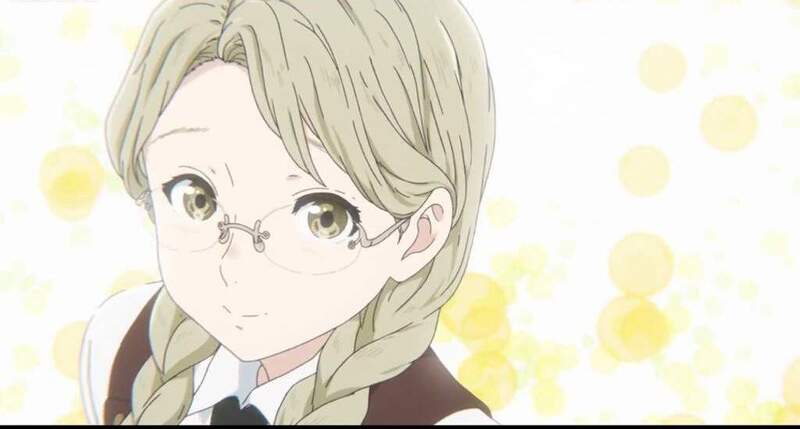 Yuzuru is Nishimiya’s younger sister and the only other side character that I’m going to mention because I feel like everyone else lacks relevance. While it might be easy to dislike her at first I think her introduction is wonderful. When Sho tries to see Nishimiya she wants to prevent him because she’s worried about him and wants to protect her. I think the subtext is that Nishimiya has already told Yuzuru about the whole thing and she is wary that she might be set up for being bullied again. Her straight faced attitude towards Sho is always pretty funny as well. I was never worried that Sho would never be able to see Nishimiya so it was just a fun part of the film for me. She is shown to be very watchful and worried for her sister as shown by her overlooking the conversation the two are having with each other much later. It’s a great character trait to have and it makes her great to watch. What isn’t explained and I would have liked to be expressed more was the motives for her to run away from home since it’s pretty unnatural. The mum seems fairly caring (even though she still doesn’t give Sho a second chance really) and she had no other visible problems. It’s sad really and when you don’t get an explanation you’re left to assume it was just so that Sho and Yuzuru could conveniently meet outside and become friends, allowing Sho to spend more time with more people. It’s clear that she likes Sho but very easy to tell that she can get irritated with him a lot, most notably in the holidays when they hang out all of the time and she expresses that she’s mainly doing it for Nishimiya. It seems that she is later relegated to the side lines for more prominent characters but the thing that I wish I had got to see more was her interactions with Nishimiya after she tried to kill herself. I think knowing her as a sister she would have one of the most compelling reactions and it was just difficult to see. So that’s it for characters! The focus, or even title of the film has a lot to do with how different people can communicate and the clear message of the film is that you don’t need to be able to hear to make friends and fall in love. The way the film explores the different ways of communication in social interactions is also worth mentioning here. Initially Nishimiya uses a notebook and pen but the film feels a little mixed on that idea due to the characters reactions too it. Sho just shoves it away and refuses to read, showing that you can’t force someone to read it but if you talk loud enough it’s more difficult to just ignore it. Sure the film has a more romanticised view of a deaf person and going through the whole process of learning sign language but exploring that is really interesting to me. It seems to encourage communication with these types of people even if it’s difficult because the payoff can be so good. More interesting to me was the view of normal speech and non-verbal communication particularly with Sho. The blue crosses on the characters’ face are great to see because it shows Sho’s mental block. He cannot socialise with these people because he doesn’t feel able to and the whole film is about him learning to communicate with the rest of the people who it should be easy to talk too. It almost feels like Sho is taking the easy way out when talking to Nishimiya since her upbringing allows her to make friends with anyone who wants too easier. His mental block only really shows for people that he considers normal and I love the reveal at the end when he finally gets rid of these blocks and can interact normally, it’s a great part of the show. In “A Silent Voice” the role of the parents seems to take a back seat and remains to not be a focus really. So why would I be including it here? Well the few instances when it is shown is really interesting. If we took the film in chronological order (not in sequence) the first instance is when Sho’s mum pays the price for the hearing aids Sho broke. Of course since Sho has no income and no money it would lie on the person most responsible to him to pay. What I like later is that Sho tries to pay the money she spent back but she doesn’t want it. She values preserving the life of her son over anything else which is very important and I’m glad the film did this and threw away material wealth for the spiritual wealth of being with a son you love. Sho’s mum actually handled the hearing aid situation very effectively. She clearly showed the consequences of Sho’s actions through the money and being so apologetic, then her quiet anger, hidden away spurred Sho into a higher sense of guilt that prevented him from going further. The next part where the parents show up in the main part of the story is when Nishimiya’s mum is against Sho being there, it’s a natural defence to keep your daughter away from past bullies but failure to grasp the situation really annoyed me. She then took responsibility and came around when Sho almost died to save Nishimiya’s life. So they don’t take relevance beyond what is necessary for the plot to take place but the parental moments really shrine strong and excellently. I don’t like to pay attention too much to the visuals of a show in a review because they’re not important; one of the best shows of anime I watched was in 240p and I thought It was fine! I do however have to say that I hate the modern day anime aesthetic with soft edges and general lack of detail in the boring and repetitive modern world. It’s my least favourite aesthetic and it’s probably because it simply looks terrible on my laptop in contrast to other shows. Modern anime just doesn’t look good until I put it on my phone or TV, so I guess that’s really my problem. It’s a film with great animation so of course if you like the modern aesthetic you will like the way it looks. I’ve been listening to the whole soundtrack as I was writing the review and I can honestly say that I’m not impressed in the slightest. Yes it has a few emotional ones but the pieces of music are so repetitive that listening to it over and over again is insanely boring. As for the rest of the music most of the time you won’t notice it and only get pulled in once you reach an emotional part which is fairly poor really. Music can make the process of watching characters so much more relaxing or tense and missing it really takes a lot away. I have this opinion with most OST’s anyway so who knows, you might like it! I guess I may as well complete everything now that I’ve started going into the MAL reviewer standards. I hate using these standards to rate anime since it implies a show has to tick every box to become a ten which isn’t true at all. It’s a film so the animation is good. It’s not so good that it’s distracting but it will be a lot better than other animation you will have seen. Yeah we’re doing it! The film is mostly a joy to watch even though it’s very depressing at times. It never makes you feel bad about yourself like school days and it also never makes you get bored or lose interest in conflicts that don’t matter or are just ridiculous like CLANNAD. Some people might find this painful to watch but to me it was an interesting pain. I found myself sucked in and fascinated by the difficulty of the characters, relating it to my own experiences and I loved that a lot. Now it’s time to skip through all of my notes pointing out anything I missed and maybe going back to add another heading if something is that important. The worst part of the film is the opening ten minutes since the show hasn’t formed a strong connection with the audience and it just feels slow. It’s difficult to find a reason to care about the characters until later and its slow pacing would almost definitely stick with the viewer until they could connect with the story. I didn’t mention a lot about the guy who nearly had his bike stolen a lot because I didn’t think he was very important. He was the first person to open up to Sho and had redeeming and great moments throughout the whole thing, but he felt fairly standard and generic which is why I didn’t like him too much. The fact that he didn’t really have a lot going on just pushed him away from any meaningful development which was sad, but I think it would have been worse for the film if everyone had a sob story since it would be so much that it would just get out of hand. At one point Sho embarks on some crazy quest in an attempt to get Nishimiya’s number on his phone, it honestly feels a little stupid because why wouldn’t she give him her number? This just shows Sho’s lack of self-esteem allowing him to realise when a girl is attracted to him or at least receptive enough to become friends. The number quest leads to the introduction of another friend: Sahara who gets so little screen time that the event hardly felt worth it. It’s sad that she was just tacked on at the end to make Sho’s friend group look bigger. I feel like if this whole thing was cut out of the film and the movie was shortened we wouldn’t lose much because the role Sahara plays is fairly useless In my opinion and only highlights Sho’s humiliation for the rest of the film. Sure it allows him to bridge the gap with more people and finally talk to Kawai but there were many other better ways to do it than introduce such a useless character. There was a part where Sharara and Nishimiya were just talking leaving Sho out and I related so badly to him when he decided to leave them. One thing that I found myself questioning was what Sho did for a job and why he couldn’t make friends there. It’s sad that this wasn’t replaces with all the Sahara nonsense because it would have been interesting to see. We had one shot where he pushed some trolleys together telling us he worked at a super market but that was it. Also Ueno making fun of Sho for being guilty about Nishimiya is one of the most annoying things of the whole film watching experience. OF COURSE HE’S GUILTY! WHY AREN’T YOU GUILTY? When they are at the theme park Sho’s nervousness is carried over to the roller coaster ride and is brilliantly shown as he hangs on for dear life as he hurtles down. One moment I forgot about was when the Nishimiya sister’s grandma died. It was a sad moment but it didn’t really add much impact and was just there. It could have been another factor for why Nishimiya tried to kill herself but it’s worrying now that I think back on the film how little the death mattered. When Sho fell off I was initially impressed by the new turn the show was taking, the very themes of the show would have to be changed. But then it became apparent that he was just going to revive from his coma later and I cared a lot less. It would have sucked if he died but I think it was a good moment overall anyway since Nishimiya had to interact with everyone and some of those scenes were brilliant. Then the scene where the two reconnected with each other is the emotional climax of the whole film and is so satisfying to watch unfold. It’s great and I could just relax in the moment on the verge of tears. Their following confessions are then in silence but it’s still dramatic and entertaining. They did confess right? I wasn’t just reading into a scene in silence? When Sho recovers from his coma and goes back to school it brings back the popularity discussion I mentioned earlier. Even though he is getting a lot of attention he is failing to do anything with it. Thankfully Ueno learns sign language, redeeming her for good, the way she doesn’t want to admit it and basically becomes a tsundere for Nishimiya is also pretty great. The final payoff is Sho learning to look people in the eye again and the dramatic reveal is an epic way to end the film. This was an excellent film. It’s for shows like this which is why I watch anime. I only just finished the manga plus released a post about it and haven’t seen the movie as I type this (having been sent here from Karandi’s anniversary post), so it’s interesting to note where the cuts to characterisation were. Yeah this post is either 7 or 8k words long. I didnt intend for it to be that long but it just happened! It might have been cool to see that teacher however I get why it was cut. I think the film probably included too much of the manga because ther was a lot going on and it was a bit bloated. Great read and interesting points! 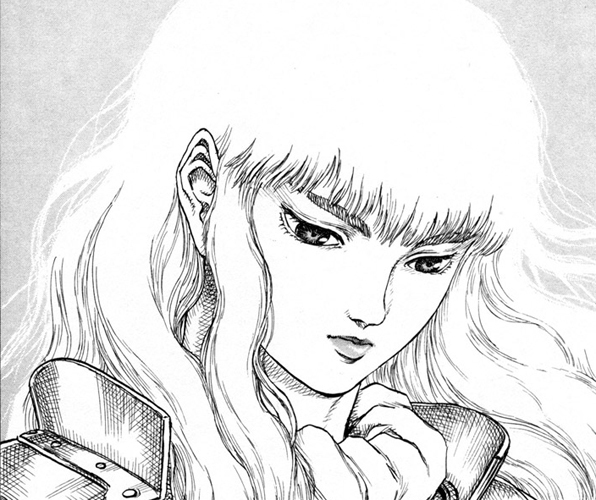 I was definitely taken with Kawai because I thought her take on bullying was from a perspective that you don’t see a lot; Someone who is aware of all the things that are being done, not actually doing anything to stop it from happening, ultimately denying having done anything wrong, and believing it. I also loved Sho’s mother. As you mentioned, the parenting aspect wasn’t a main focus but definitely effective when used. It was amazing how much character she had in her few moments, but you instantly would have loved to have her as your mom, you know? When I first watched the film I was so excited about it, and was surprised to find out that a good portion of the community really didn’t like this film because it wasn’t “as good as the manga”. I agree that there were still things that could have been changed because there was a lot going on in the film, but that still didn’t stop the film from making me cry more than I have in a while without it feeling like I needed to cry because so many depressing things were happening. Yeah Kawaii had a really good perspective. What was sad was that it looked like she actually believed it. People can easily rationalise things in their head e.g “no that wasn’t serious” or “other people did it more” and I think she is a good representation of people who have done that. I know I’ve done it at least once (through the example in the post) and it’s a really good character flaw for the film to look at. Absolutely. I also liked how it didn’t even matter that the money was burned up because it prevented him from killing himself. “it wasn’t as good as the manga” is a pretty bad reason to dislike the film in my opinion. Just because it’s not as good as something else doesn’t mean it’s still not good! And I’ve not seen the manga so I wouldn’t know. The film was great at making me cry as well. I’m not going to tell you what it is because it might ruin things for you, but I know in detail the specifics of how shows make people cry at certain moments in shows. This is just more than having something really cool or sad. While I noticed it in this show everything leading up to it was so great that I enjoyed the moment and didn’t worry about it. I only don’t like noticing it when it doesn’t feel earned. The money burning was one of my favourite parts, didn’t think it was going to happen, and then the rest of the moment couldn’t have played out any better. It is a very generic and weak response, when it comes to “the manga was better”, but for whatever reason it’s always something that makes me curious and take a second look as to why someone thought that, considering this film in particular where I couldn’t have loved it more, and still do, regardless of those kinds of comments. I know there is more to a moment being considered sad or cool, things like music and timing will play with the technical aspects of it, but I’m sure there is also a subconscious way of getting to people, even if they can’t directly relate to the situations. It does make me curious to go back and read the manga too. The thing is that koe no katachi had a lot of the manga in it anyway from the sounds of it so I don’t know how much new stuff will be there. Yeah and it still works on me even though I know how they’re doing it! So maybe it won’t actually ruin it. A commonly used way to make people cry is have music, then fade it out to silence while showing something sad. It’s then quiet before suddenly the music swells up at the exact same time something happy happens instead. The quick transition is very effective, but not the only way, If you watch super eye patch wolf he does it all the time and you might notice it if you go back to the ending of Koe no katachi. I really enjoyed the manga. There are some interactions that are played out differently, specifically when it comes to Ueno, Nishimiya and Shoya. But overall I’d say the only major difference is that you get more in depth with the backstories and motives of many of the characters. Mashiba (Kawai’s red haired friend) stands out the most in my head because he is more involved in the manga then he was in the film, so it was cool to see what he was all about. That and the endings were pretty different, but I still believe they convey the same feelings at the end of the day. I’ll have to check out super eye patch wolf then so I can compare! I remember Mashiba seeming massively pointless in the film, so I can imagine that to be true. I probably will have to read it now that I’, interested! Yeah the easiest video to notice it in is near the end of the wrestling video when he finishes explaining the story of the golden lovers. For the record I really like his videos, I just notice it when he uses the technique. Exactly! Honestly, he could have been cut from the film entirely and it wouldn’t have affected the story in the slightest. Now I’m really excited to see that series! Since this review was so long theirs not going to be any posts besides the ADB, this project was more words than I’d write in a month anyway and I can’t keep up a schedule with posts like these. You should, as you can see I liked it a lot!